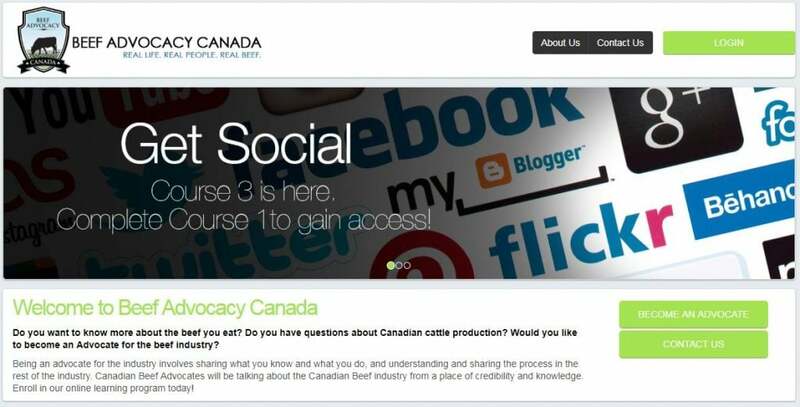 Beef Advocacy Canada (BAC) is excited to add to their suite of advocacy resources with three new online training modules aimed at social media literacy. The three modules are arranged in increasing difficulty, with information for both the new social media user and the social aficionado trying to expand their reach. Users will be expected to graduate from the first two BAC courses before moving on to the social media modules. Funded through contributions matched by the Canadian Agricultural Adaptation Program, the modules will be online based and free to use, just like the existing BAC courses. BAC is managed by Public and Stakeholder Engagement (PSE), which receives approximately 5% of the Canadian Beef Cattle Check-Off to address consumer questions and issues that could erode consumer and public confidence in the beef industry.